The Bruening Foundation has supported the Legal Aid Society of Cleveland’s Housing Advocacy and Homelessness Prevention program for several years because it aligns well with Foundation’s interest in safety net services to prevent housing crises. The program helps low income tenants – many of whom are families with small children – remain in their homes. Activities of the program include helping families avoid eviction, maintain or secure housing subsidies, resolve conflicts with landlords and/or reduce rent. Last year, LASC exceeded its goals by providing services to nearly 3,500 people, almost half of which were children, and 700 of whom were under the age of 3. Housing permanency contributes to emotional and physical stability, and when forced to relocate, families are often plunged into uncertainty, financial insecurity and potentially unsafe situations. 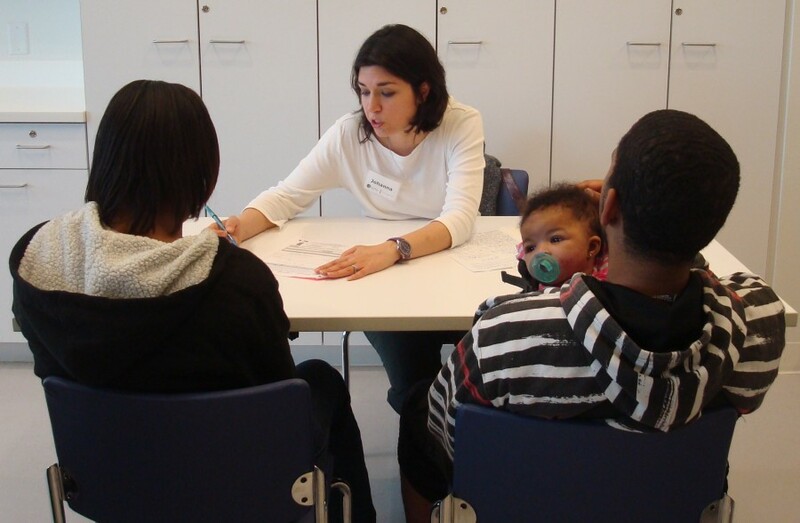 By taking on cases that can avert homelessness, LASC hopes to help young families emerge from poverty and reduce their dependence on the safety net system. In addition, having a stable home environment is particularly important for children, and can be a significant contributing factor to long-term academic success. Legal Aid shares one client’s story to demonstrate the importance of these services. Kayleigh Walker* lived with her four children in an apartment, but the mold and suspected lead paint caused allergic reactions for the young children. She was unable to rid the rental home of a roach infestation. To make matters worse, during the time of the infestation, the apartment was vandalized by an unidentified intruder. Ms. Walker’s landlord accused her of poor care of the apartment – even though she didn’t cause the mold. Still, the landlord held up his accusations, and held her responsible for the damage of the mold and that caused by the intruder. The family wanted to move, but because of the accusations couldn’t get their security deposit back. Without a security deposit, the family couldn’t move into a better, safer apartment. The landlord hired his own attorney, and argued the full $700 of the security deposit belonged to him. However, by law, security deposits never “belong” to the landlord, as they are pledges paid by the tenant for the purpose of being used in cases of damage they are responsible for. Unable to effectively represent herself, and not able to afford an attorney, Ms. Walker was able to get help from Legal Aid. Her Legal Aid attorney arranged for inspections of the apartment for roaches and one by the police for the damage caused by the robbery. When one daughter tested positive for lead poisoning, the inspector confirmed it was due to lead paint used in the apartment by the landlord. The evidence proved the landlord was indeed responsible for the deplorable conditions of the residence. Thanks to their Legal Aid lawyer, the Walker family got their security deposit back and had enough money to move to a safer, healthier living environment.